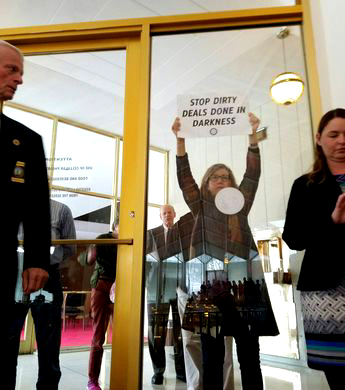 The vibe in the halls of the Legislative Building Tuesday ranged from angry — protesters chanted “shame” outside the Senate gallery — to anxious — as lobbyists, lawmakers, the media and the curious wondered what shenanigans the special session might hold. Courtpacking? Regulatory reform? Something more sinister? While the sentiment is commendable, the initial draft of House Bill 2 (no, not that disastrous bill) contains no timeline for the disbursement of the money. Instead, there were only promises that the funds will be allocated “quickly.” Half of the money comes from the state’s rainy day fund and the other from an unappropriated balance in the General Fund. The appropriations would be divvied up among housing, emergency management, infrastructure, public health and small business grants. $20 million to the House Trust Fund to help low-income people find permanent homes. $20.9 million to the Division of Emergency Management for short-term housing needs, “resiliency” planning and redevelopment, especially in rural areas where that expertise could be lacking. $72.2 million to the State Emergency Response and Disaster Relief Fund to prepare for future emergencies and to provide a state match for federal funds. $10.2 million to the NC Department of Commerce, which will funnel that money to the Rural Economic Development Division. In turn, that division will provide grants to local governments to build or repair infrastructure, such as sidewalks and sewers, and new residential development in areas that lie outside the 100-year floodplain. Roughly $250,000 of this money will be used to examine the need for business assistance funds. $10 million to the NC Department of Environmental Quality for disaster-related infrastructure and cleanup needs including, repair of wastewater and drinking water systems, dam safety, emergency permitting, and solid waste cleanup. A portion of the funds will also go to local governments to repair cemeteries and burial sites and for public health protection. $37.9 million to the NC Department of Agriculture and Consumer Services for dike and farm pond repairs and disaster-related timber restoration. $1 million shall be allocated to the Department of Insurance, Office of the State Fire Marshal, to provide grants to volunteer fire departments for repairs that were not covered by federal assistance or by insurance policies. $25 million to the nonprofit Golden LEAF Foundation for small business grants and infrastructure repair. Appropriations Chairman Nelson Dollar said there will be a second disaster relief bill in the long session, which begins in January. Congress also approved an additional $300 million for North Carolina last week. In addition, FEMA just provided $664,000 for mental health counseling to disaster victims. The biggest surprise Tuesday may have been no big surprises. Crowds gathered to protest a rumored court packing scheme that was first floated among conservative policy groups and media back in November and has remained popular in some conservative circles up until this week. The N.C. GOP none-the-less blasted Democrats and the media for the rumors as Republican legislative leaders finally and unequivocally said Tuesday that it was a bad idea and they had no plans to carry it out. They had, up until this week, refused to rule it out and said they hadn’t heard any discussions about it. The N.C. House unanimously passed its version of the disaster relief bill for which the special session was originally conceived. Some critics said the final version of the bill as not enough and pointed out that it does not have a schedule for disbursement of funds . The N.C. Justice Center’s Budget & Tax analysts pointed to a provision that requires the governor to borrow against next year’s budget to pay for the aid package. House Republicans said another aid bill would be coming in the spring’s long session. There was some argument on the House floor over how the number of school days lost to the disasters addressed in the bill would have to be made up. The final bill requires only two days be made up, the rest forgiven. That bill now goes to the N.C. Senate, which has until noon Wednesday to file its own bills for the session. Those looking for surprises this session may find them there. Just five other bills were filed in the House, which had a filing deadline of 5:00 p.m. Tuesday. Two were housekeeping items – passage of the rules and the method for adjourning the session. 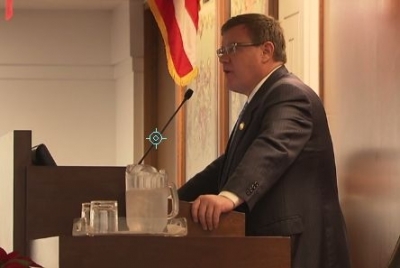 N.C. Rep. Larry Hall (D-Durham), the outgoing minority leader – filed a bill to restore early voting and a bill to establish non-partisan redistricting, both unpopular ideas with the Republican super-majority in the legislature. The N.C. Senate reconvenes at 8 a.m. today. The state House reconvenes at 11a.m., though House Speaker Tim Moore said there will be no votes there until 1 p.m.